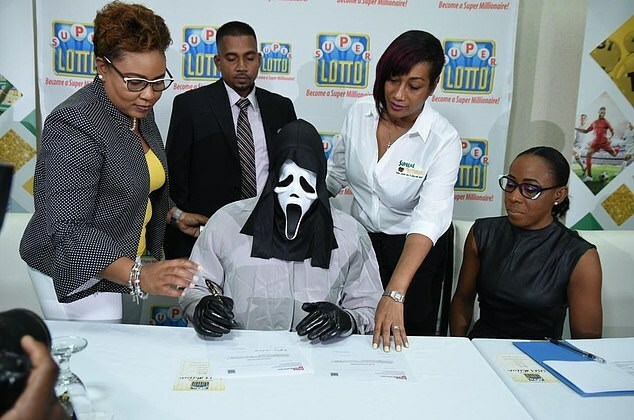 A Jamaican man, whose name was given only as A. Cambell, won a lottery and turned up in a mask to claim his £1million prize. 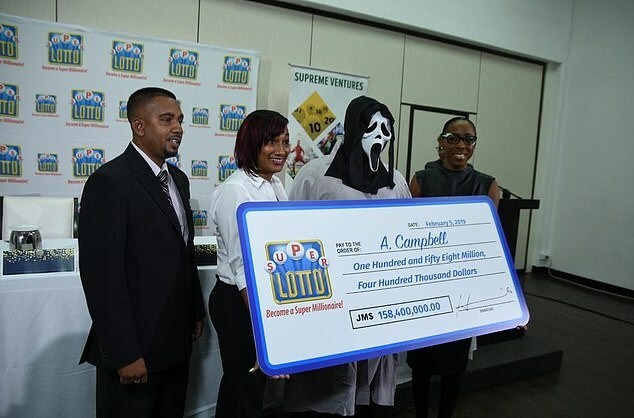 The man wore a mask similar to the one from the movie Scream to claim his winnings. 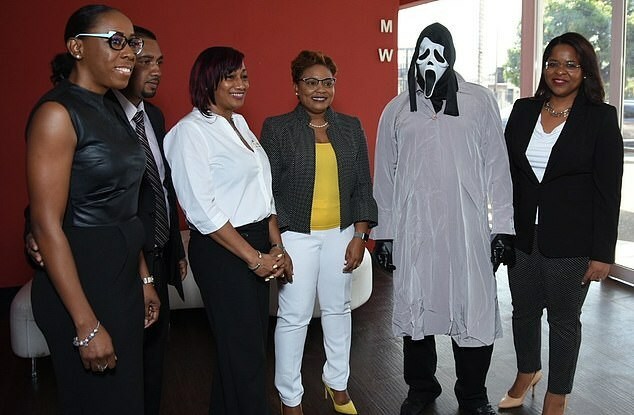 He said he did so so as not to be recognized by money-hungry relatives who would expect him to share the money with them. "Normally, I would write down the numbers from the [televised] draw, eat and then go and check my numbers." "I want to get a nice house. I haven’t found it yet, but I’ll be looking for one soon. I like to handle money. I don’t beg, I don’t borrow." "So I’m looking at things that can turn over the money. I have a little business, so I plan to make it bigger, buy an apartment. I love to have money."